Fall River, MA – Uma Kolli, MD, has established Fall River Family Health, a family medicine practice, in Fall River. 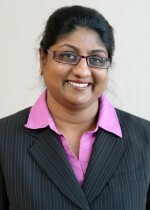 A board-certified family medicine physician and member of Steward Medical Group, Dr. Kolli completed her residency in family medicine through Brown University’s Warren Alpert School of Medicine at Memorial Hospital, Pawtucket, RI. She is a graduate of Osmania Medical College, Hyderabad, India. Dr. Kolli has provided primary care to area residents for more than ten years. She cares for patients of all ages, from newborns to older adults, and has special interests in women’s health and preventative care. She is affiliated with Saint Anne’s Hospital. Dr. Kolli welcomes former patients and also is accepting new patients. Her office is located in Saint Anne’s Hospital Medical Office Building, 851 Middle Street, Fall River. To make an appointment, call 508-235-5277.